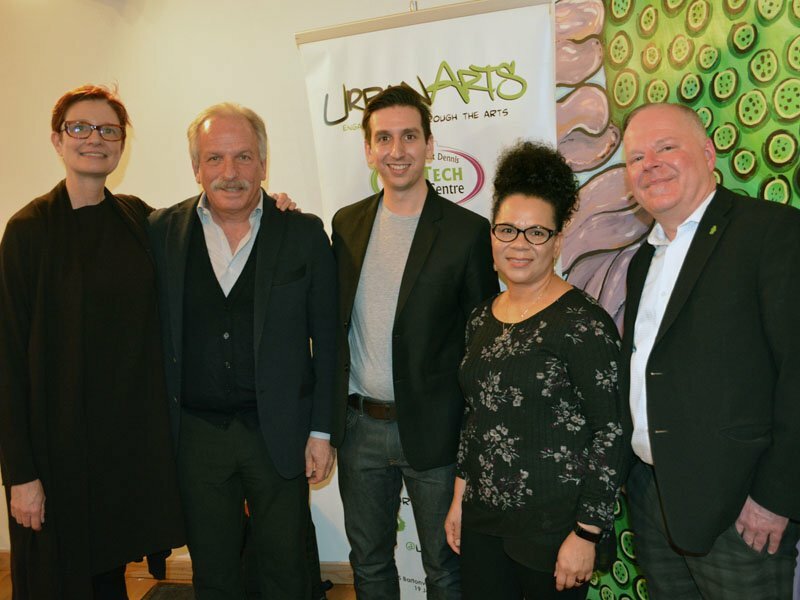 On March 15, Artscape Daniels Launchpad was pleased to host the Honourable Pablo Rodriguez, Minister of Canadian Heritage and Multiculturalism for a tour of Launchpad. 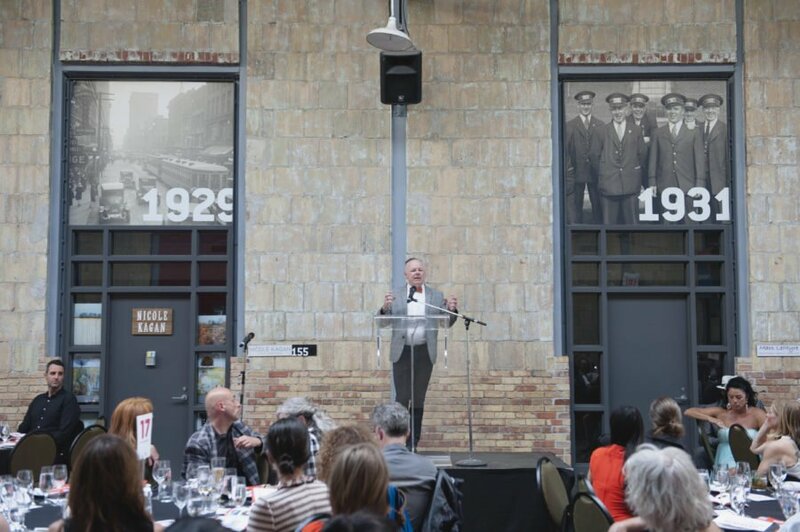 While there, he also announced additional funding from the Government of Canada’s Cultural Spaces Fund for Launchpad, Manifesto Community Projects and the Remix Project, as part of its ongoing investment in cultural spaces in Toronto. Launchpad will receive another $3 million in funding, part of a $6.5 million investment the Government made in 2017. Minister Rodriguez toured Launchpad’s facilities and Creative Studios, taking a moment to fire up the Digital Fabrication Studio’s laser cutter to create a wooden cut-out of Canada’s maple leaf. 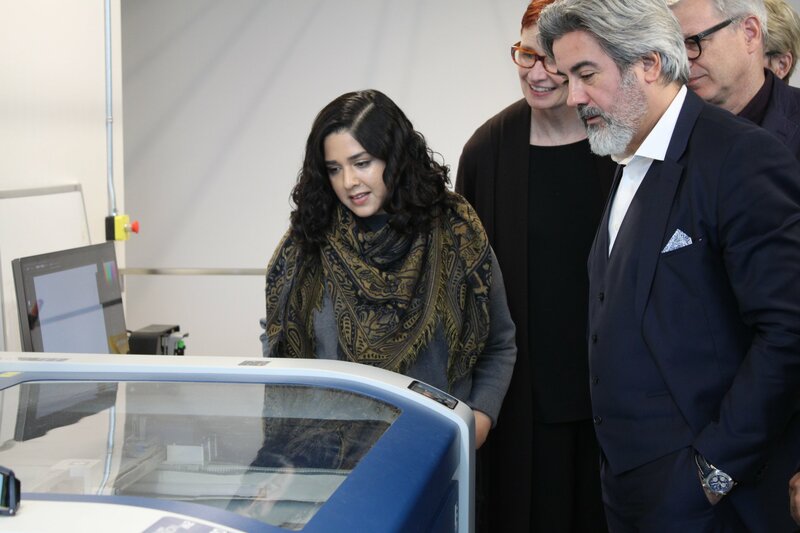 Canadian Minister of Heritage and Multiculturalism, Pablo Rodriguez, tours Artscape Daniels Launchpad’s Digital Fabrication Studio on March 15. Minister Rodriguez also announced $900,000 in funding for Manifesto Community Projects and $320,000 for The Remix Project, who will be located at Daniels Waterfront – City of the Arts. 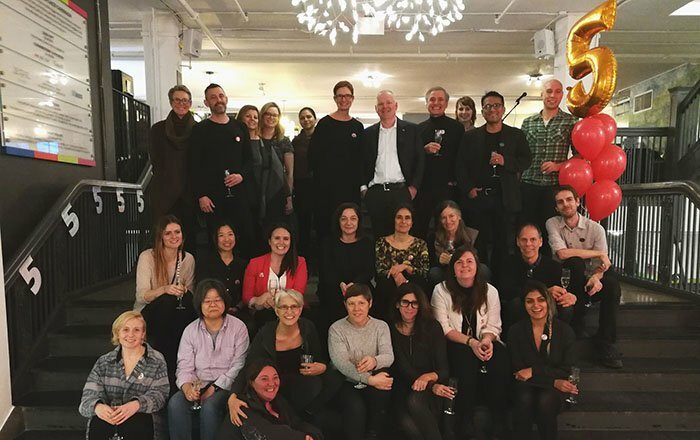 “We’re extremely grateful for the support from the Canada Cultural Spaces Fund, which will allow us to continue serving the city we love from a new permanent home,” said Ryan Paterson, Co-Founder of Manifesto. Learn more about Artscape’s work in helping artists thrive!